Straight from the 10th Annual Oak Cliff Mardi Gras Parade! 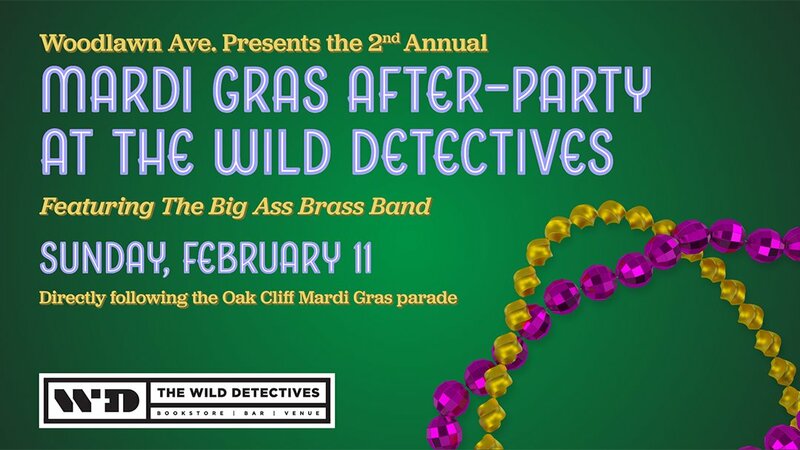 into The Wild Detectives–the party will continue with a performance by The Big As$ Brass Band. There will be a bar set up in the backyard of the bar, so bring your friends and let’s all jam out to some jazz music! Kids are welcome to the post-party!